These are steel reinforced, extreme safety boots that still feel like trekking shoes for medium terrain. Care for with Meindl Sportwax and Wet-Proof. With Timberking boots, Meindl have introduced new cut protection technology. 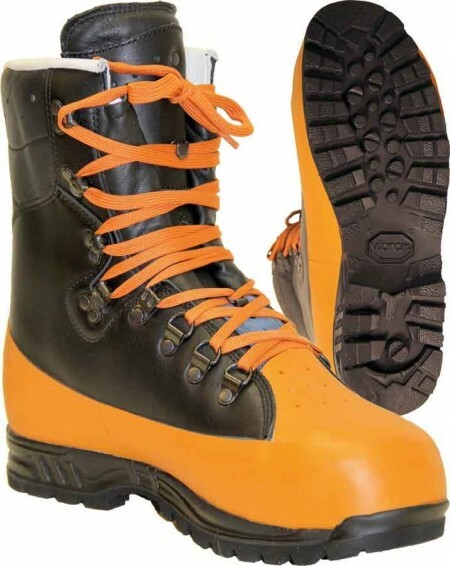 Where the foot is normally most vulnerable, immediately behind the steel toe cap, there's a thin but effective layer of flexible steel, so cleverly incorporated that wearers won't even notice. As a result Timberking boots easily qualify for the German Forestry Association's testing centre(KWF) Class 3. If any boots are returned during the manufacturers warranty Treeworker will return them to the manufacturer on behalf of the customer. During this time no replacement boots will be made available.